Designer Consignment is proud to present Consignment Concepts... a design magazine specifically tailored for consignment shoppers! Filled with inspiring and simple ideas, Consignment Concepts will help you add a fun and creative vibe to your living spaces. This months issue features Outdoor Living with some excellent tips to make your next outdoor patio party a smashing success! 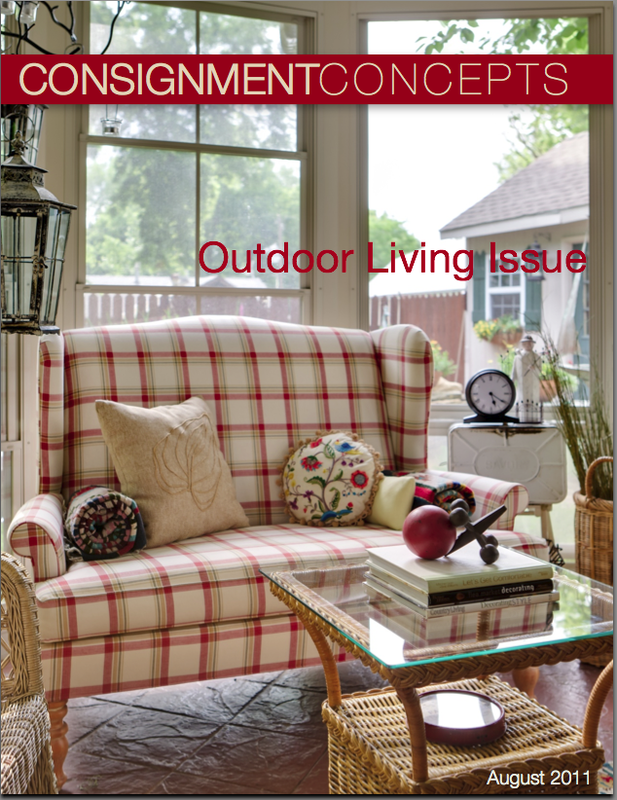 Download or view online the August edition of Consignment Concepts Outdoor Living below!